Another round of storms is expected Saturday afternoon and evening as a cold front slides from the north. With dew points in the upper 60s to low 70s, there’s enough "juice" in the air for heavy downpours that could lead to localized flash flooding, especially in poor drainage areas and towns where the ground is saturated. ighs will warm up into the 80s with the heat index in the upper 80s. It will be very muggy even with the limited sunshine. 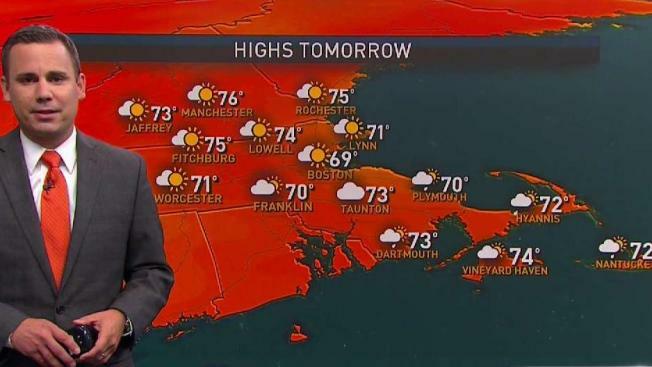 By tonight, Northern New England will have a crisp and refreshing air mass while the South Coast will be a bit sticky under mostly cloudy skies. Saturday Night: Showers and thunder end. Gradual clearing. Low in the mid 60s. Sunday: Mostly cloudy. Cool. Less humid. Highs near 70. Monday: Mix sun and clouds. Highs in the mid 70s. 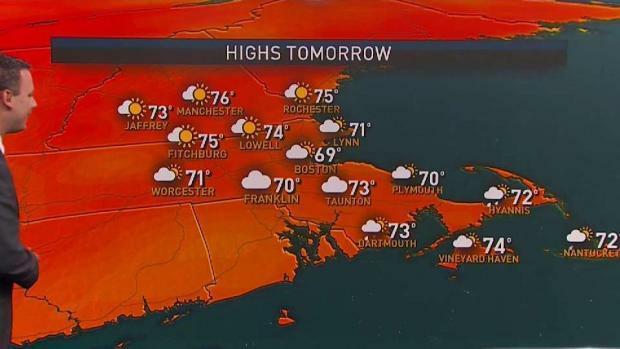 On Sunday, the best spot to see breaks in the clouds will be over Northern New England with highs in the upper 70s, while towns from the Merrimack Valley southward will be under more clouds than sun - due to a wind out of the northeast - that will keep temperatures on the cool side, barely making it to 70 degrees near coastal locations. There’s also a chance for a spot shower towards the South Coast, the Cape and the Islands with the sea breeze. Sunday won’t be a washout by any means but it is not expected to be a beach day either. The work week begins with drier air still in place and highs in the 70s under mostly sunny conditions though the temperature will begin to rise by mid-week and with that change there’s also an increase in storm and shower activity. A quick glance at next weekend indicates sun shining on both days- a welcome sight for many with outdoor activities. Make sure to always stay tuned because we all know the weather changes in the blink of an eye.